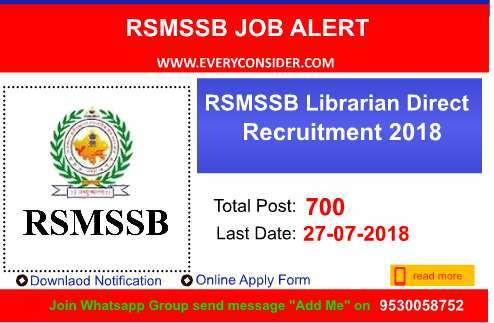 Rajasthan Subordinate and Ministerial Services Selection Board, Jaipur (RSMSSB) has invites Direct Recruitment of Librarian Grade 3rd for total 700 Post. Organization announce this vacancy. Interested or eligible candidate can apply to this recruitment. this vacancy for Librarian Assistant Post, if you want to apply this vacancy then before 27 July 2018 apply. 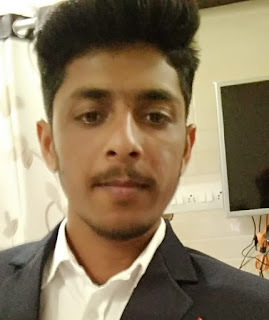 We are Provide librarian recruitment Details; Notification download link, Librarian vacancy Online apply link and other details Librarian vacancy age limit, pay scale, Librarian vacancy fees details, how to apply, Librarian vacancy syllabus download , sample paper download etc. For Librarian Post Candidate should be Qualifier secondary and Devanagari lipi knowledge also should be Sanskrit knowledge. For more details download officail notification given below link. as on 1 January 2019 ( Upper age limit is releasable by 5 year for SC/ST candidate & 3 Year for Obc Candidate and 10 year for Differently able persons will be eligible for grant of cumulative age relaxation under both the category. First you need to go on official website www.rsmssb.rajasthan.gov.in (given blow important link section).